Nestled in supper haven, Geylang, 126 Wen Dao Shi is a hot spot for those in search of cheap and good dim sum. They may not be the most polished of eateries around, but make no mistake that for what they lack in outer appearance, they compensate greatly in food. Some of our all-time favourite items to get are their Soft-Shell Crab, Liu Sha Bao and their Man Tou with Chilli Crab Sauce. Asia Grand is one Chinese restaurant that has stood the test of time. Situated on the ground floor of Odeon Towers, this long-standing restaurant is famous not just for their stellar dim sum but also the Peking Duck and Suckling Pig. 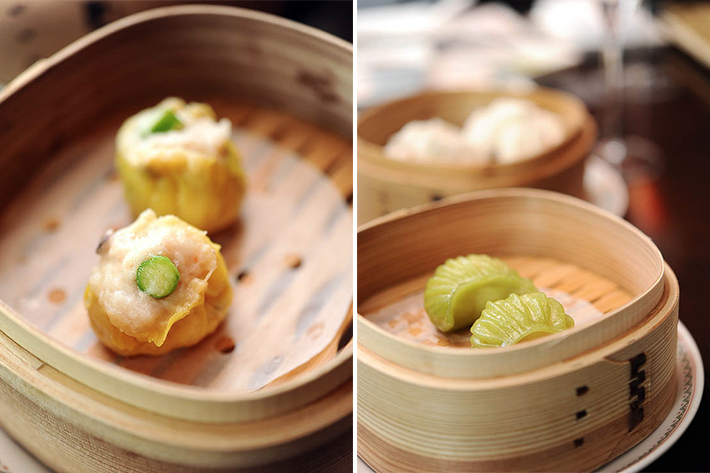 Start your day with some delectable dim sum such as Steamed Shrimp Dumplings and Steamed Cheong-Fun with Dough Fritter. 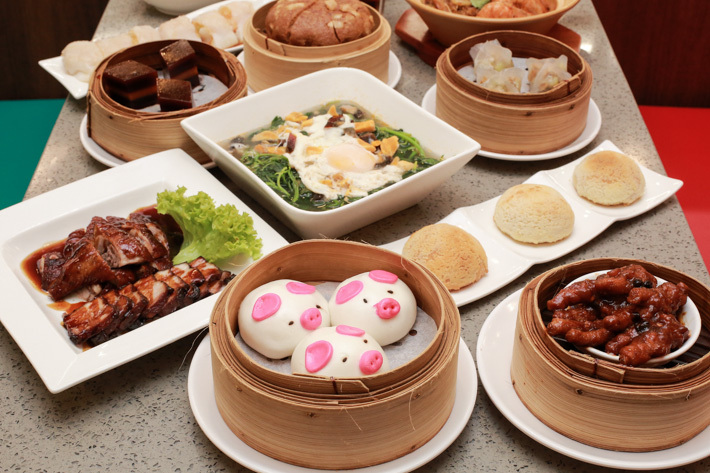 At Ban Heng, you will never run out of options when it comes to their dim sum. 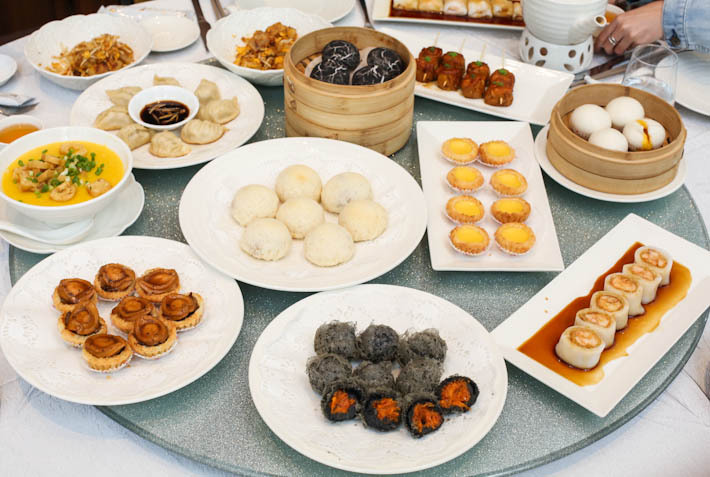 Boasting over 30 dim sum items to choose from—which includes 15 deep-fried morsels of sheer goodness—deciding what to fill our bellies with is always a tough call. If you need recommendations, their egg tarts and Barbecued Char Siew Pastry with Sesame are stellar dishes. 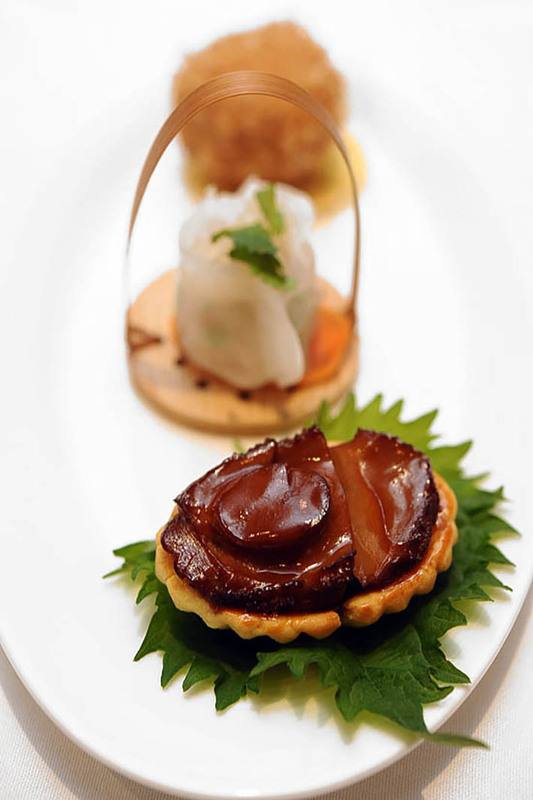 Cherry Garden offers an eclectic menu of Cantonese cuisine, presented with artistic modern flair. 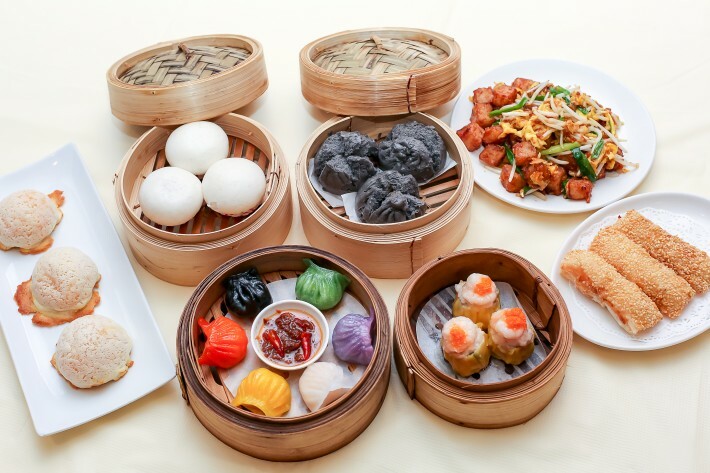 Housed in Mandarin Oriental Singapore Hotel, this Cantonese restaurant is one upscale dim sum restaurant that is perfect for business meetings or simply a weekend yum cha with your family. Their seasonal menu changes regularly, but rest assured that the quality of the dishes remains consistent throughout. 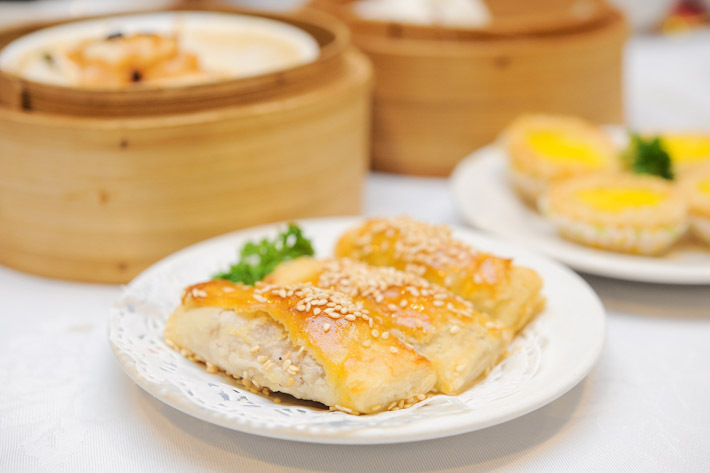 Crystal Jade Palace Restaurant serves up contemporary Cantonese cuisine and is a hot favourite among dim sum lovers. 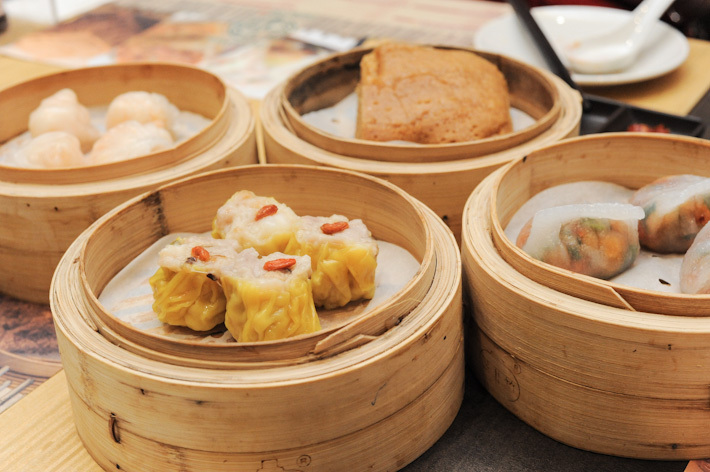 On their menu, there are over 30 dim sum items to try so visiting in a big group is recommended. 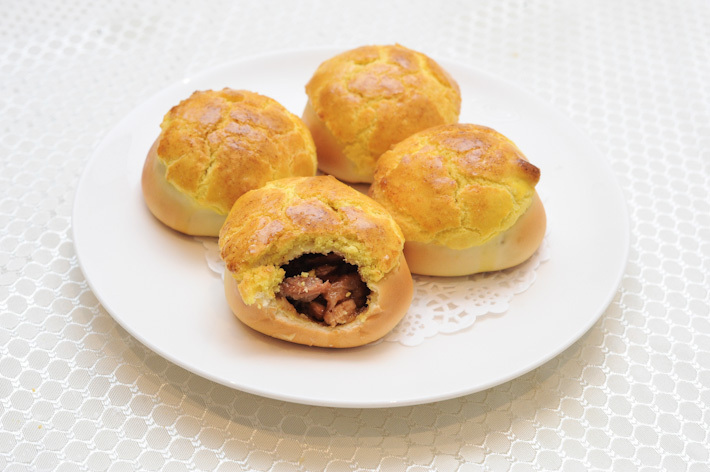 We personally love their Char Siew Sou that boasts a savoury-sweet char siew filling encased in a buttery and flaky pastry. Sitting along the old-fashioned shophouses that line North Bridge Road is The Dim Sum Place. This place doles out good Cantonese dim sum with a creative local twist that will allow you to sample a unique mix of flavours in a single meal setting. Established in 1992, East Ocean Teochew Restaurant is known for serving traditional Teochew favourites such as steamed pomfret and its Hong Kong-style Teochew cuisine. 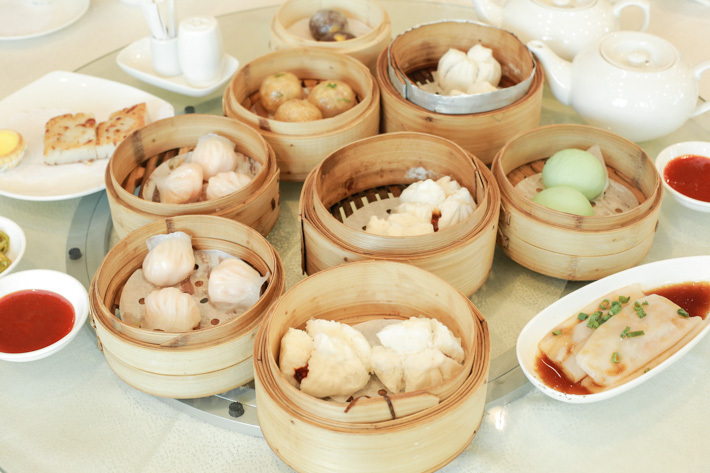 It is one of the few Chinese restaurants in Singapore that still serve dim sum the traditional way by using dim sum trays. 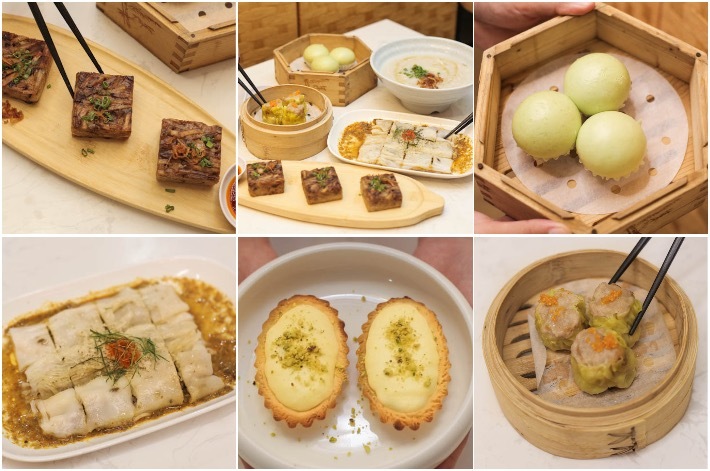 You can get the usual range of dim sum such as Baked BBQ Pork Bun, Pan Fried Carrot Cake and Steamed Siew Mai, but the standout item is definitely the Steamed Custard Bun. A celebrated stalwart in the Chinese fine dining scene for over two decades, Hua Ting Restaurant offers a revitalised menu that includes a repertoire of Cantonese classics and some modern interpretations. Their signature Baked Mango Chicken Tartlet is encased in a crispy, buttery bo lo bun with bits of sweet, minced chicken and diced up ripe mangoes—it was so good we finished ours within seconds. Another item to look forward to is the Wok-fried Turnip Cake with House-made X.O. Sauce in Hot Stone Bowl. 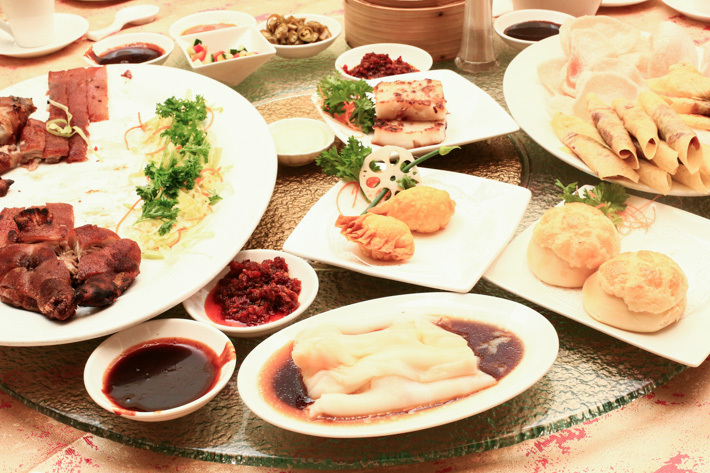 Amongst all the Chinese cuisines out there, the Cantonese style is probably the most popular and diverse and Imperial Treasure Cantonese Cuisine is one such place where diners are never disappointed. 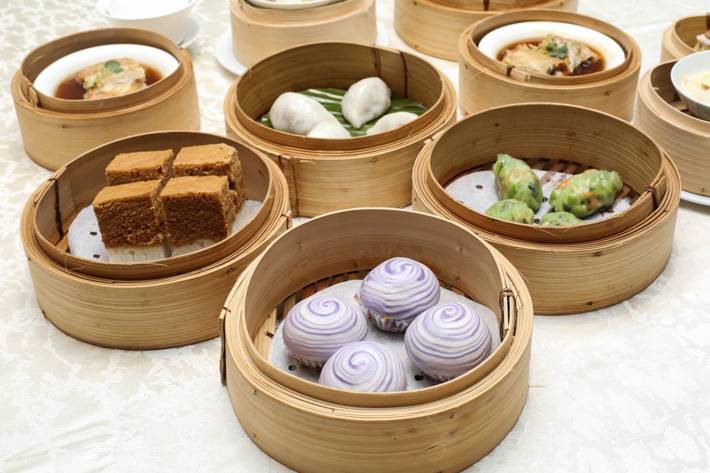 The restaurant offers an assortment of authentic Dim Sum daily as well. 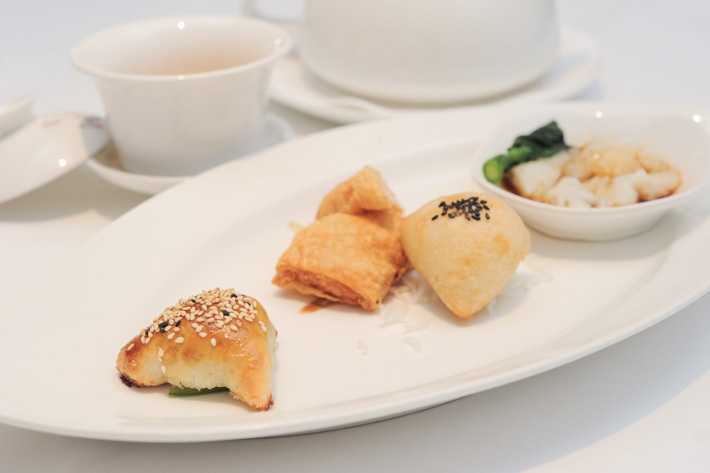 These refined small bites are exquisitely crafted by their chefs from Hong Kong that deliver consistent and great quality. 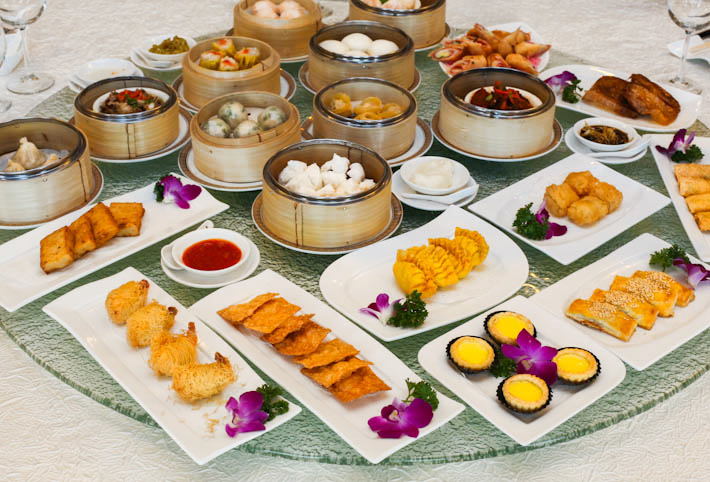 Situated on the second level of InterContinental Singapore, Man Fu Yuan boasts a sumptuous dim sum menu that bursts with classics like rice rolls, pan-fried radish cakes, and a variety of congees. 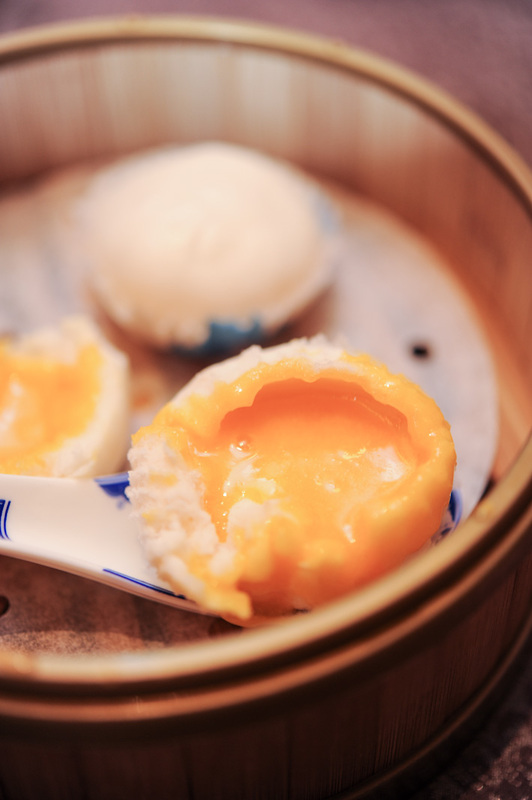 What we particularly fancy about their food is the way their brilliant chefs adopt modern culinary methods and apply them to traditional dim sum. Located in the elegant Goodwood Park Hotel, the award-winning Min Jiang features a repertoire of popular Sichuan and Cantonese dishes, as well as a delectable dim sum selection, served on trolleys for lunch daily. What you can look forward to include Steamed Wasabi Jellyfish Dumplings, Steamed BBQ Pork Buns and Crystal Shrimp Dumpling ‘Har Kau’. In the sea of Chinese restaurants in Singapore, Mitzo is by far the sleekest and sexiest around, and sitting along Orchard Road makes it a convenient spot to satisfy those dim sum cravings after all your shopping is done. 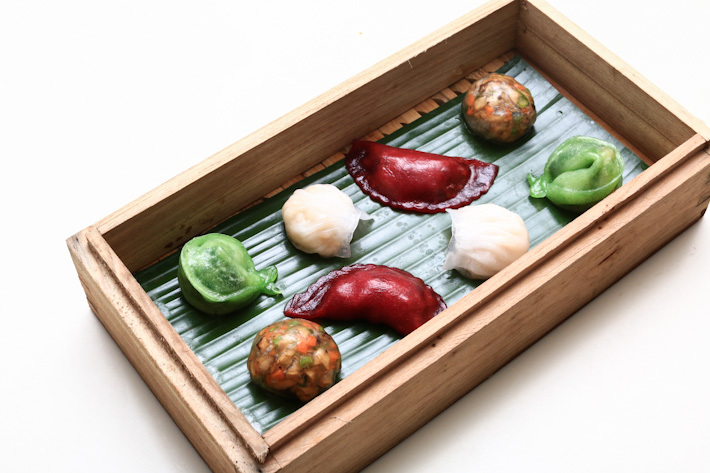 Everything is exquisitely handcrafted with premium ingredients and you get a wide selection from the Mitzo Premium Steamed Dim Sum Platter the Garden Deep-Fried Dim Sum Platter. 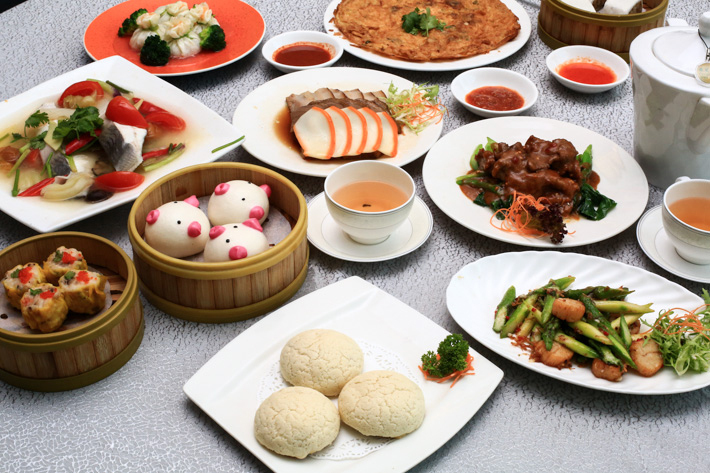 Since 1988, Mouth Restaurant is the go-to restaurant in Singapore’s Chinatown for yum cha. 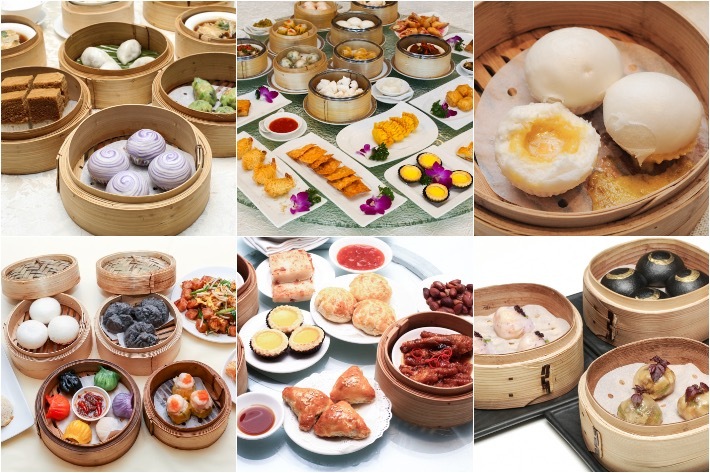 For dim sum, they offer a wide selection of 100 mouth-watering handmade dim sum including crowd favourites such as the Rainbow Har Gao, Squid Ink Char Siew Bun and the ever popular Liu Sha Bao. Peach Garden focuses on bringing to diners impeccable Chinese cuisine with the freshest premium ingredients under the hands of skilled chefs. 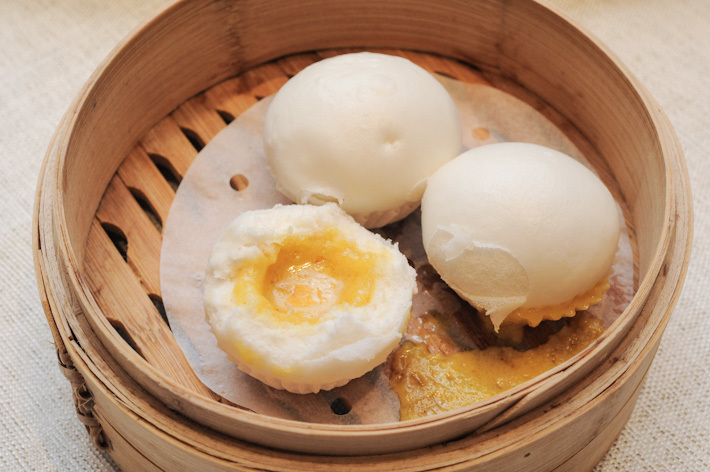 The view from its outlet at level 33 of OCBC Building is as impressive as their dim sum menu—especially their tasty Baked Egg Tarts and Steamed Shanghai Xiao Long Bao. Perhaps one of the few remaining authentic, old-school dim sum restaurants in Singapore—with middle-aged ladies pushing dim sum carts around—is Red Star Restaurant. Red Star is nowhere near any of the finer dining dim sum concepts around, in fact, the restaurant is far from it. But what you can expect is a decent variety that encompasses the usual suspects such as chee cheong fun, har gau and more. 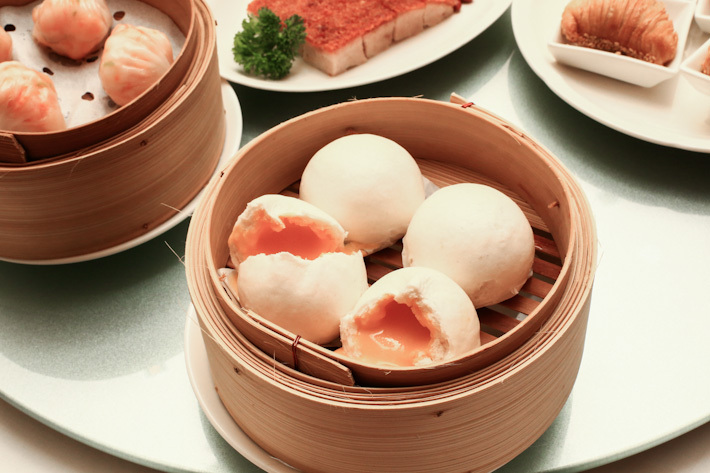 Shin Yeh Restaurant serves up a myriad of authentic, well-cooked and delicious Taiwanese-inspired dim sum. Other than the classic dim sum such as classic Steamed Chive Dumpling (S$4.20++ for 3) and Steamed Shrimp Dumpling ($4.80++ for 4), Shin Yeh also has an “Eight Immortals” Dim Sum platter (S$12++) which is insanely affordable and good for sharing. A premier fine dining Chinese restaurant, Si Chuan Dou Hua is a pioneer of Sichuan cuisine in Singapore and is renowned for its superb Sichuan and Cantonese cuisines. Here is where you can indulge in a wide array of mouth-watering delicacies such as roast suckling pig, nutritious double boiled soups, and exquisite handcrafted dim sum—all expertly prepared by the restaurant’s team of master chefs. Located on the second level of Mercure Singapore Bugis, this Cantonese restaurant astounds with its array of elaborate and mouth-watering contemporary dim sum offerings, from its Pan-seared ‘Otak’ Seafood Dumpling on Skewer to its Deep-Fried Charcoal Chili Crab Meat Ball. The Mini Egg Tarts (S$4.20++ for 3 pieces) are far better than your traditional flaky egg tarts. 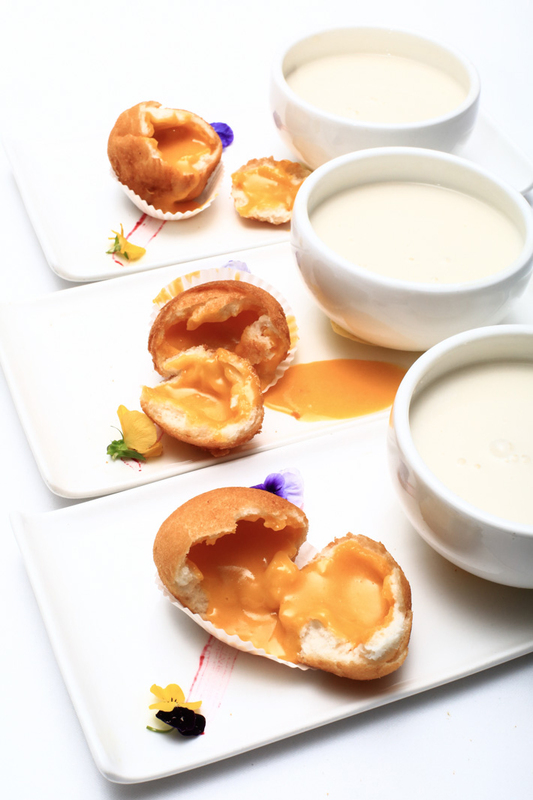 Buttery, crumbly and filled with a luscious egg filling, this is undeniably one of the best renditions in Singapore. Otherwise, their Deep-Fried Charcoal Chili Crab Meat Ball and Lobster with Pumpkin Congee are showstoppers in their own rights too. 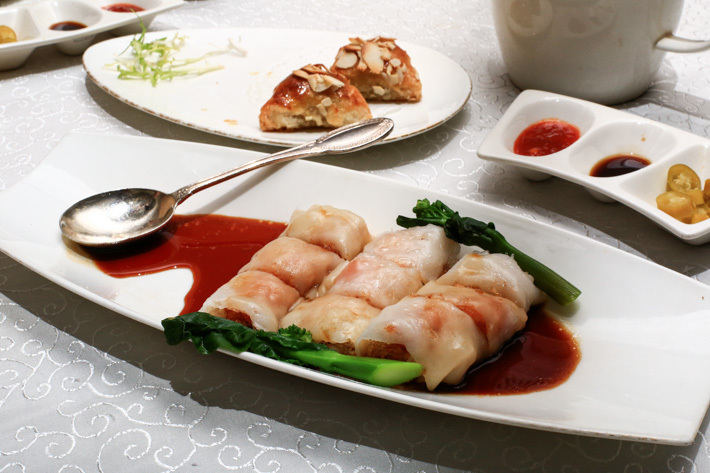 Awarded the Michelin one-star back in 2017, Summer Palace is where one can savour classic Cantonese dishes and an extensive selection of dim sum delicacies. Helmed by two experienced Hong Kong chefs with more than 20 years of experience, what you can hope to find will never be anything short of pure indulgence. We are huge fans of their Stir-Fried Turnip Cake with XO Sauce as well as their Lobster dumplings. Nestled in the heartland area of Toa Payoh, Swatow Seafood Restaurant is an old-school restaurant that gives us all that sense of familiarity the second we step foot inside. 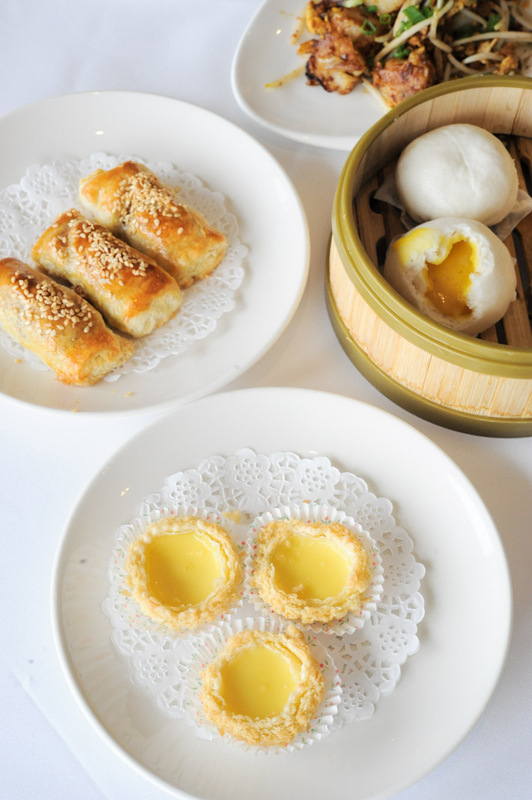 Besides their array of seafood dishes—that we love too— they also offer handmade Hong Kong-style dim sum in the day with the likes of with the likes of Golden Custard Bun, Fresh Scallop Dumpling and Paper Wrapped Chicken. Located in the heart of Jalan Besar, Swee Choon Tim Sum Restaurant is a hit among supper-goers who often flock there as late as midnight. 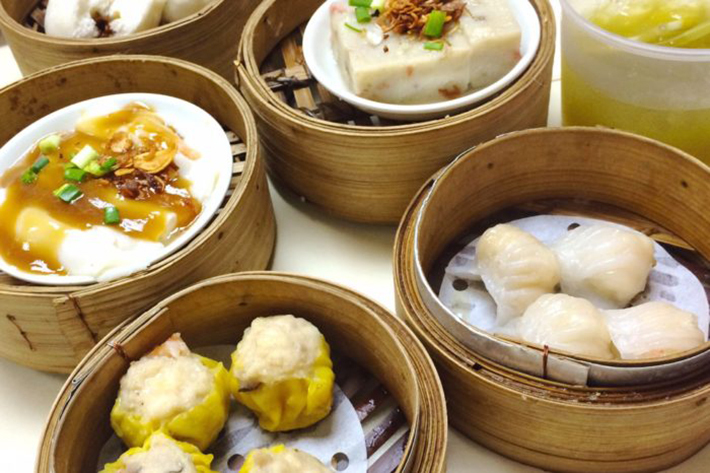 This humble dim sum eatery offers some of the best Chinese cuisines in Singapore and at a fairly affordable price point too. From delectable soups to steamed Dim Sum and kitchen special cooked dishes, its extensive menu is reflective of the restaurant’s efforts to cater to every palate. Hailed as one of Singapore’s best Chinese restaurants, Taste Paradise is a favourite establishment amongst discerning diners. Long queues often form outside this opulent restaurant at Ion Orchard and prices remain reasonable despite the soaring demands. Treat yourselves to Taste Paradise’s sumptuous dim sum and do make it a point to allocate stomach space for their best-selling Classic Shark’s Fin in Supreme Broth accompanied with a Crispy Spring Roll served in Japanese Stone Pot. Hailing from Hong Kong and perhaps one of the biggest openings here in Singapore is dim sum chain, Tim Ho Wan. 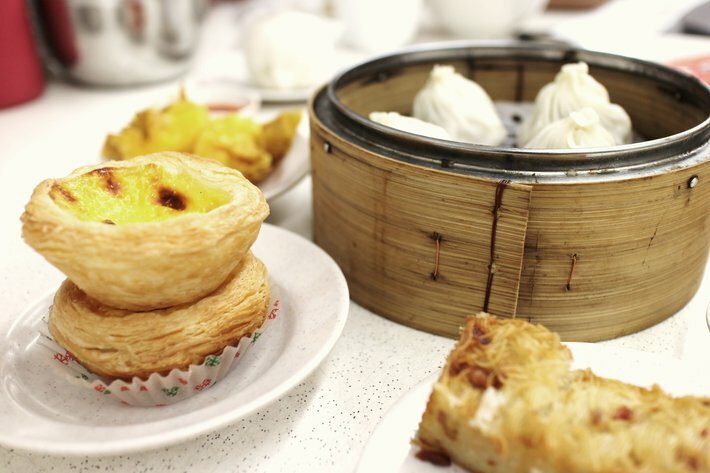 With certain outlets open for 24-hours, this is another supper spot to consider should the likes of steamed, baked or fried dim sum peak your fancy. We are huge fans of their Baked Bun with BBQ Pork, Spicy and Sour Dumplings and the hugely underrated Vermicelli Roll with Shrimp. 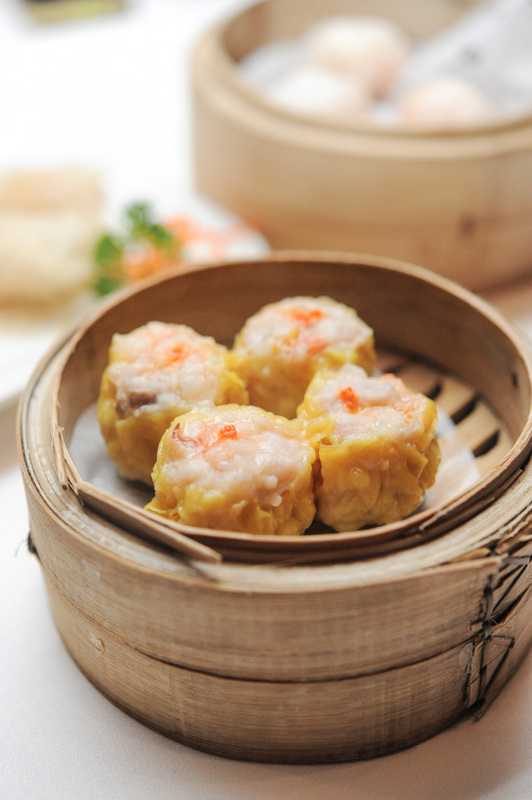 One of the places we frequent is TungLok Teahouse for their delectable, handcrafted dim sum. This casual dining restaurant has extremely competitive prices. If you’re the sort that goes absolutely mental at the sight of cutesy dim sum then the Mini Piglet BBQ Buns at TungLok Teahouse is sure to leave an impression. 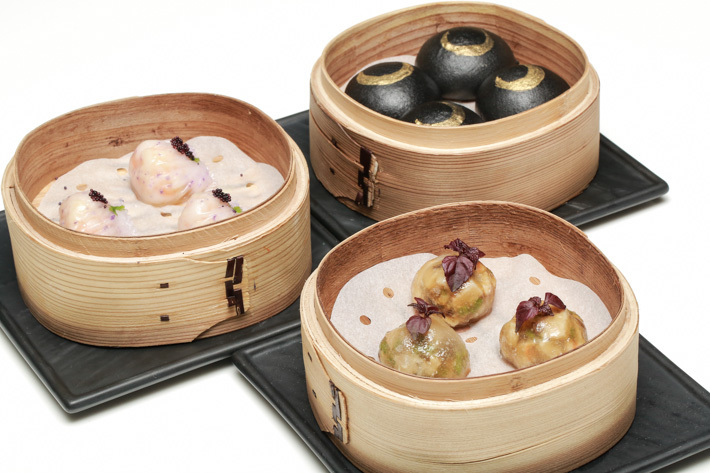 Do try their signature Steamed Siew Mai with Quail Egg and Truffle as well—it is mind-blowing to say the least. 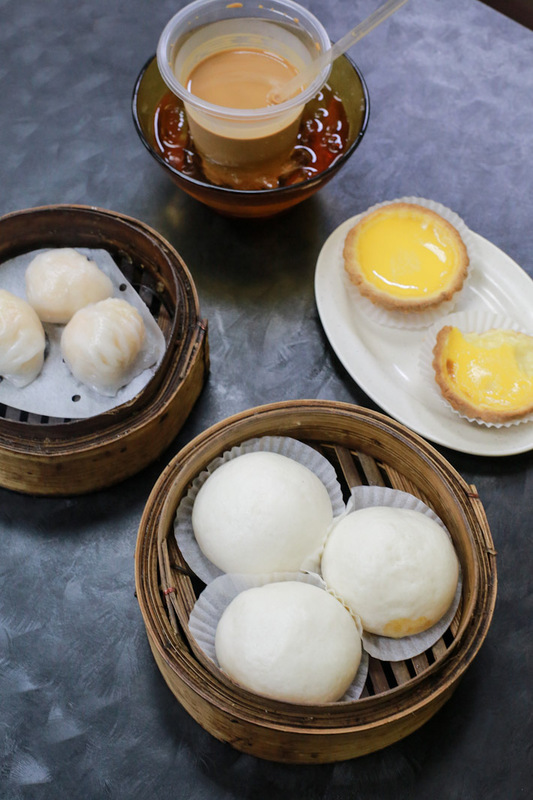 Presumably having one of the best custard buns around, Victor’s Kitchen is a name that needs no introduction. Tucked away inside Sunshine Plaza, this dim sum eatery is a popular haunt among students and office workers. Despite being a fairly affordable option in town, we must admit that their dim sum is good but not exactly our idea of mind-blowing. Still, if you happen to find yourself in the area, then Victor’s Kitchen is no doubt a good spot for you to get your hunger sorted. Wah Lok Cantonese Restaurant in Carlton Hotel is one of the most well-known Chinese restaurants in Singapore—and for good reason. 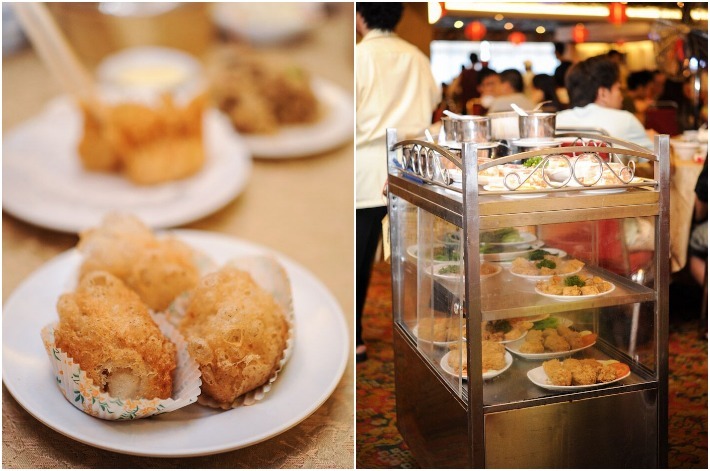 With a long list of awards to its name, Wah Lok is a popular destination for dim sum enthusiasts. On their menu, you will find familiar classics—Baked Barbecue Pork Buns and Steamed Crab Meat & Egg White Dumplings are just some to name. Holiday Inn Singapore Atrium Hotel’s Chinese restaurant Xin Cuisine remains relatively under the radar and is a great place to have dim sum in peace without breaking the bank. Enjoy the ultimate dining experience with its elegant interiors that exude a warm and vibrant ambience, coupled with their range of innovative dim sum creations—courtesy of award-winning Dim Sum Chef Cheung Kim Nam. Yàn is a sophisticated Cantonese restaurant that sits on the fifth floor of the stunning National Gallery Singapore, and we are completely in love with the restaurant’s chinoiserie-chic vibes and a menu of elegant Cantonese cuisine. 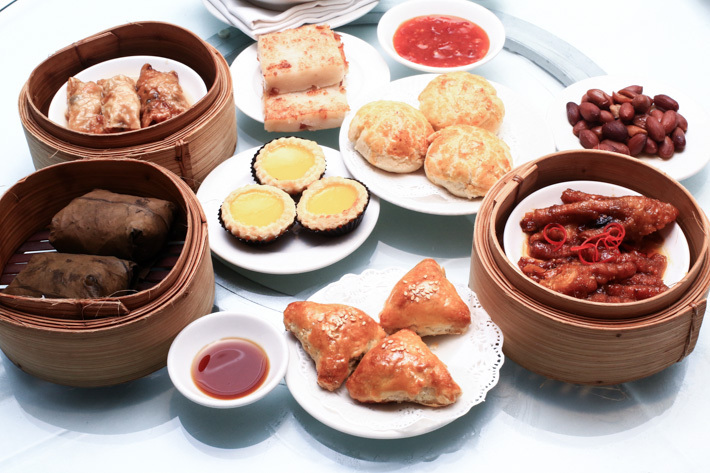 The Dim Sum Combination Platter (S$18++) features six delicate bite-size treats, and is a great sampler if you cannot decide on which dim sum dish to order! This Chinese restaurant at The St. Regis Singapore is classy and exudes a note of understated elegance. Prices are slightly steeper, but for its fine food, it has won fans from all over the region. 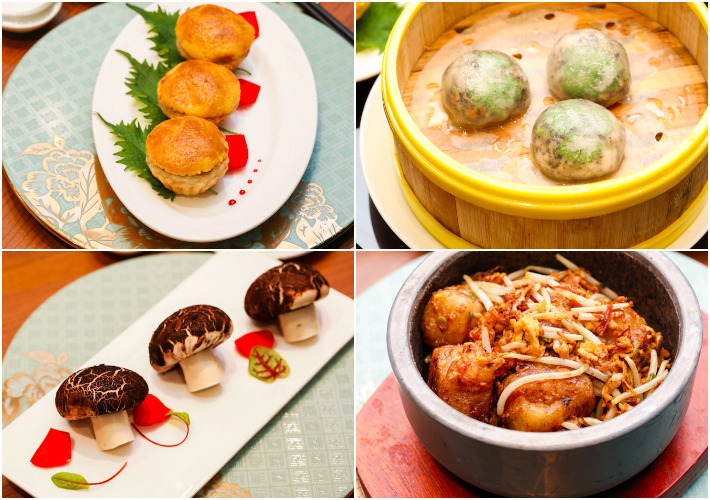 If you are planning to have a dim sum brunch at Yan Ting on the weekends, reservations are highly recommended. Hi! Good list, but you missed one of my favest, Yum Cha. They’re basically an institution and been going there with my family and visiting expat friends ever since.